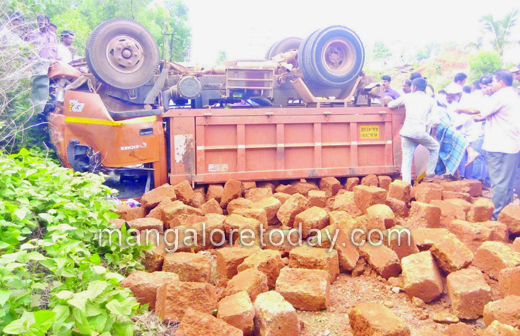 Mangaluru, May 10, 2015 : A woman hailing from Kollegal in Chamarajnagar district lost her life while three others sustained injuries in a collision between a tipper lorry and a car at Gerukatte in Bethangady on May 9, Saturday. The deceased is Sharada, wife of Dr Basavaraj. The two along with five members of their family including two children were heading towards Uppinangady after visiting Dharmasthala when their Innova car was hit by a stone laden tipper. 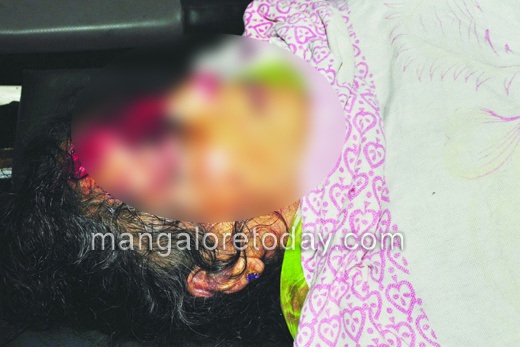 Sharada who sustained serious injuries died while being rushed to the hospital. The children in the car luckily escaped unhurt while Dr Basavaraj and two others namely Rajamma and Prabhu who were injured have been hospitalised.